Brad is a partner of the firm and an account manager for a nationally recognized pharmaceutical / retail chain. He assists in the coordination and implementation of all projects including project design and quality control. 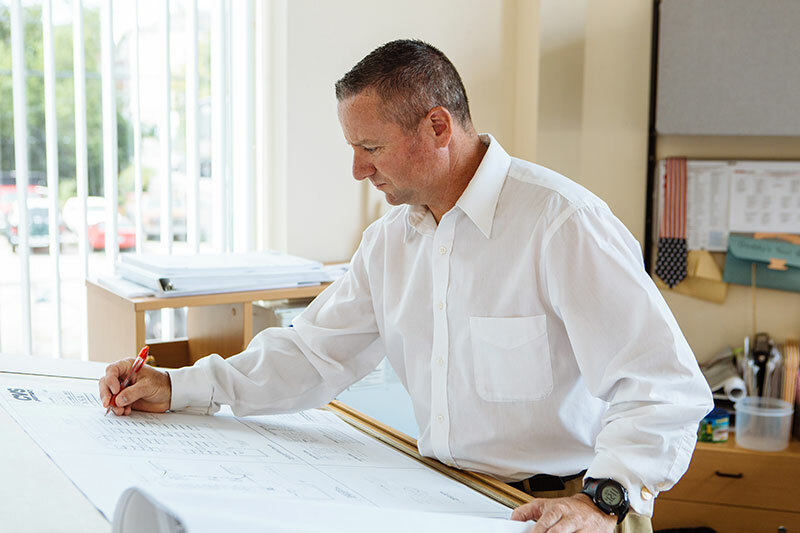 He manages multi-functional teams nationwide to deliver designs, prototypes, and construction under tight deadlines and budgets. I first became interested in Architecture at an early age when I would spend hours building models and drawing. I enrolled in the Architectural program at Hall Institute of Technology and continued on to Johnson & Wales University. After I graduated in 1994, I started a career in the Submarine industry at Electric Boat where I was specification/designer in HVAC for the Virginia class submarine program until its completion in 2001. In 2001 I started working for an architectural firm where I was Corporate Account Manager for CVS/Pharmacy. Upon that firm’s unexpected closure in 2003, I was asked by Jeffrey Kern to transition my projects to William Starck Architects, Inc. where I was asked if I would like to work with the firm and continue to grow the CVS account. I was fortunate to have become a member of the William Starck Architects team at that time. During my thirteen years with the firm, I have enjoyed the everyday challenges and great people. One of the project that he really enjoyed was coordinating all disciplines (HVAC, Plumbing, Electrical and Structural). CVS had a store in a strip plaza in Yonkers, NY and they were expanding into a running 7-11 space. William Starck Architects worked on the total survey and design from the pharmacy to the exterior façade. It was a challenge, but in the end all that counts is that the client was satisfied. When I’m not in the office, you will find me coaching baseball, playing golf or hockey, or just enjoying family time with our chocolate lab. Growing up in Rhode Island all my life, I’ve become a fan of all the New England Teams.